For law firms, knowledge, stability and professionalism are essential. 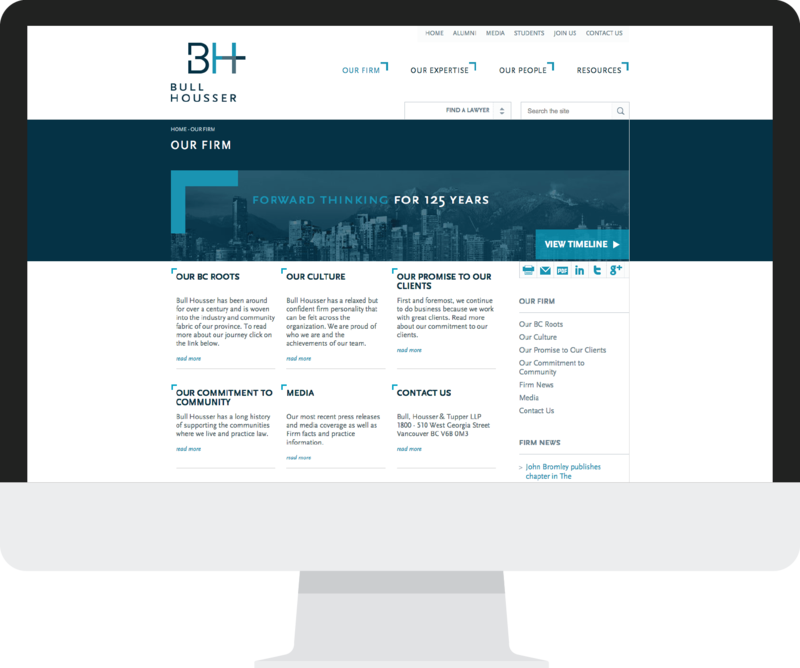 Our challenge was to create a brand that would communicate these solid qualities, while also conveying the forward-thinking nature of one of BC’s most respected law firms. Bull, Housser & Tupper LLP has been a fixture of the BC legal landscape for more than 120 years. 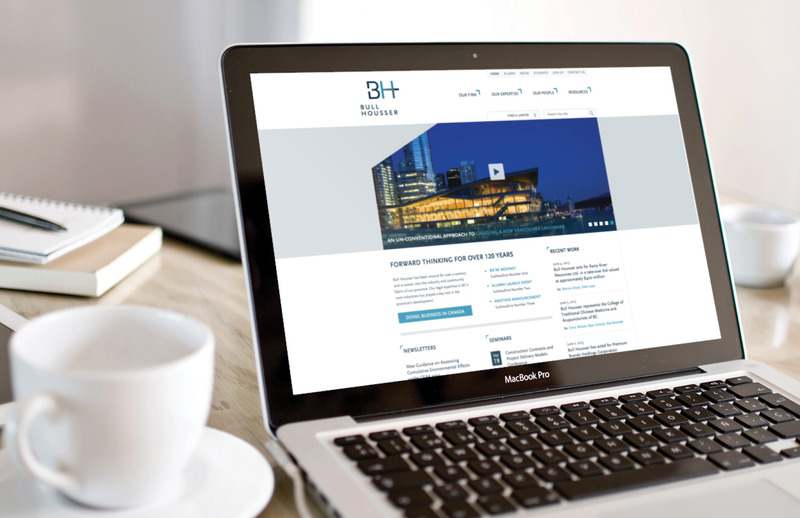 When we met with Bull Housser, it was clear that the firm’s visual brand did not reflect its modern character. Well respected, but viewed as a fairly traditional, conservative organization, Bull Housser was looking to update perceptions – both inside and outside the firm. So they engaged Signals to conduct a brand renewal aimed at re-positioning the firm and preparing it for growth. Our Discovery sessions were opportunities for the lawyers to exchange views about the firm’s history and their vision for the future. The discussions with partners, associates and staff revealed the firm’s strengths and its focus on the business of BC. Bull Housser has played key role in shaping the province of British Columbia: its lawyers have advised on some of the largest developments in the province and know BC issues well. The firm is also distinguished by its depth of legal knowledge and flexible, pragmatic approach with a focus on client relationships. From these core strengths, we developed what we call Bull Housser’s Brand DNA, including the key messages that formed the foundation for creating a new visual brand. 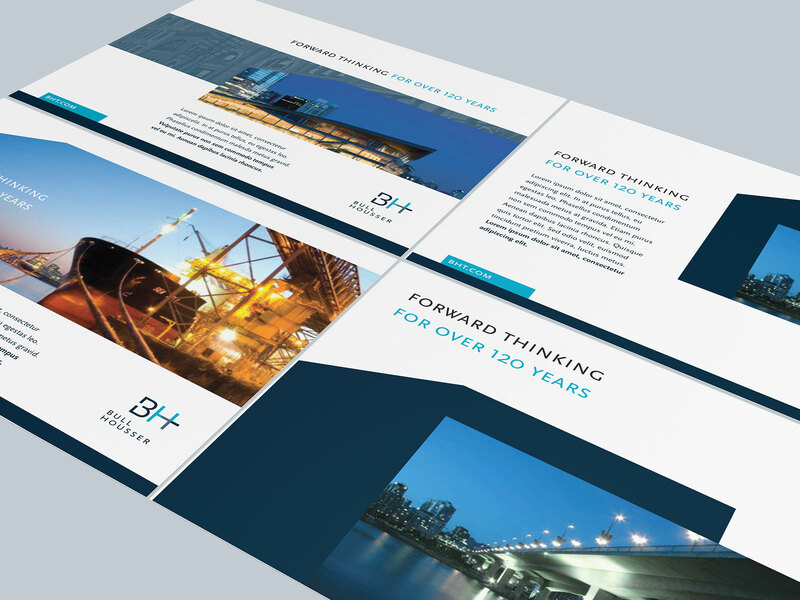 To roll out the brand, we designed and developed a new website and created a series of collateral pieces, including marketing and advertising materials. The website home page showcases Bull Housser’s involvement in several major BC projects, notably the Canada Line and Vancouver Convention Centre expansion. The site and all collateral materials feature compelling BC images, reinforcing Bull Housser’s commitment to supporting the business of BC. 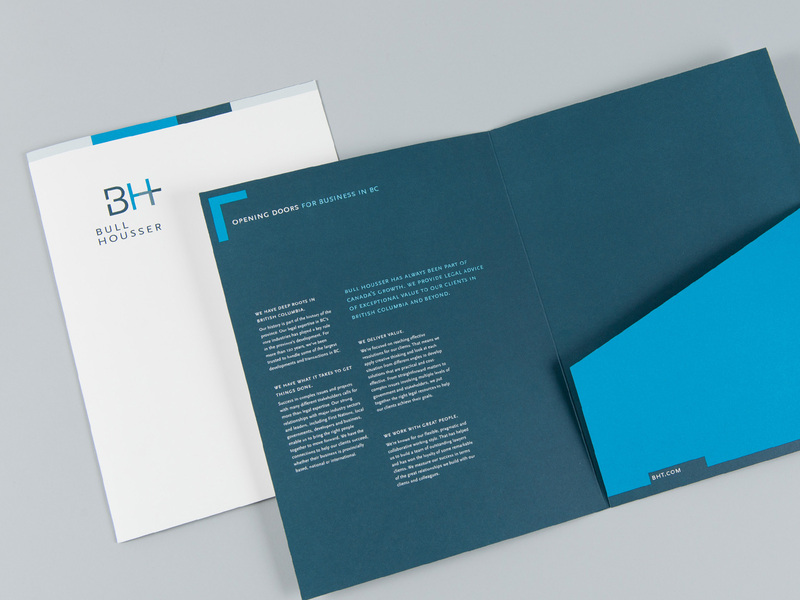 We also developed brand guidelines to help ensure consistency in the firm’s messages and implementation of the new visual brand. 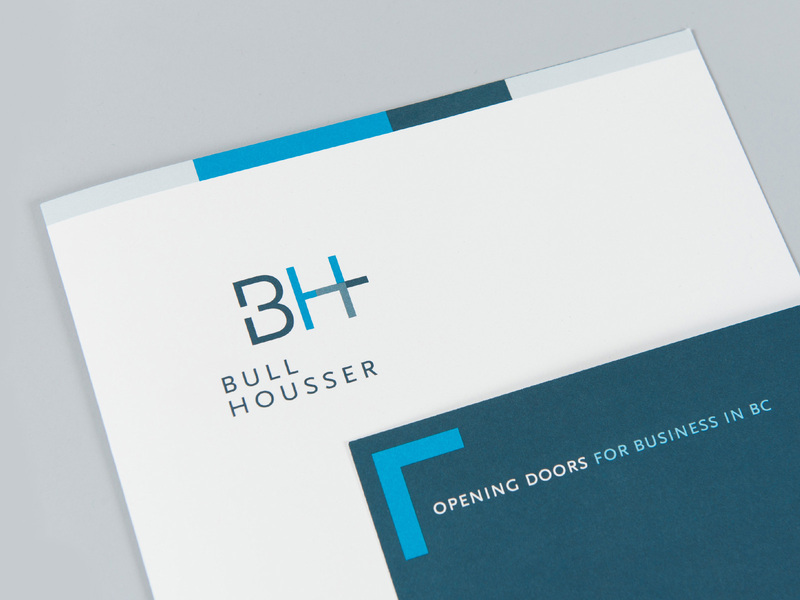 The new identity builds on Bull Housser’s strengths: it conveys the firm’s confident, progressive character and unique BC focus. The mark itself is based on a type treatment of the first initials of the original partners’ names (Bull, Housser and Tupper). The initials are integrated to form a modern mark that suggests the firm’s integrated approach to the practice of law, as well as a link to its history. The logo and brand moves away from traditional corporate blue. The sea-to-sky colour palette and stunning selection of natural landscapes clearly identifies this as a BC law firm. Marrying the visual language with our communication objectives we landed on the tagline: “Opening Doors for Business in B.C.”.